One of the most important and challenging leadership roles within healthcare is the “Chief Medical Officer.” As senior physicians tasked with providing leadership to increasingly diverse medical staffs during times of unrivaled challenge and uncertainty, the leadership style of a CMO is absolutely essential for stability and sustained success. The role of Chief Medical Officers is changing dramatically as they face a new set of challenges such as new Medicare & Medicaid rules, understanding what the Trump Administration means for healthcare, finance & technology in addition to their main role of Improving Quality of care while Reducing Costs and Developing a Medical Leadership Team. 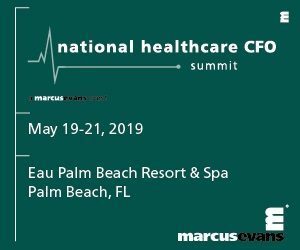 This event is focused on the end-user Chief Medical Officer and told by other Chief Medical Officers in terms of topics/issues/perspectives and case studies to discuss these new challenges in a manner that allows the attendees great actionable takeaways. This year’s Summit offers the opportunity of more roundtable sessions for genuine dialogue with industry peers in an intimate setting. We know everyone has something to bring to the table. Through organic conversations, you’ll exchange knowledge, strategies and approaches to a variety of different challenges. Let your ideas and insights be known.